Lumbar Spondylosis - Why does this happen? The lumbar spine is made up of 5 vertebrae stacked on top of each other. The vertebrae have small joints on either side, the facet joints, which allow movement between the vertebrae. There is a fibrous disc between each vertebrae which act as a shock absorber and allow the spine to be more flexible. Nerves pass from the spinal cord to the legs through a narrow space between the vertebrae. Lumbar Spondylosis, osteoarthritis of the spine, is a degenerative condition which affects the surface of the facet joints and discs. There is a reduction of joint space as the cartilage wears away and the disc becomes thinner. Bony spurs, osteophytes, grow on the edges of the vertebrae causing the space within the joint to narrow. The ostephytes can cause pressure on the nerves which pass through the narrow gap between the vertebrae. 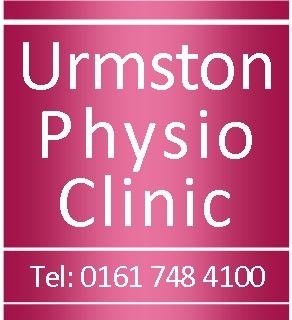 Lumbar Spondylosis is a common part of the ageing process and can occur from the age of 40+. Repetitive weight bearing activities, poor posture, previous injury and excess weight all contribute to developing Lumbar Spondylosis. Pain in the lower back, buttock or leg. Restricted movement in the back, particularly in the morning and after periods of rest. Disturbed sleep due to pain. Pins and needles or loss of sensation in the leg or foot. In more severe cases a weakness in the leg or foot. It is common to experience back stiffness particularly in the morning. Your GP or Physiotherapist can usually diagnose Lumbar Spondylosis by simply by examining your spine and hearing where the pain is and how it started. Pain due to Lumbar Spondylosis will usually improve with some simple changes to activity and exercise. Try to avoid or reduce the activity which aggravates your pain such as repeated bending. Stay active but balance rest with activity. Changing activities to ones which involve less weight bearing on the spine, such as swimming instead of running, are important to reduce the stress placed on the spine. Managing your weight is important as any extra weight places additional stress on the spine. To help reduce the symptoms a ‘hot pack’ can be placed on the painful area for 15 - 20 minutes twice a day. Wrap the 'hot pack’ in a towel before placing on the painful area to ensure you do not burn the skin. Posture - It is important to reduce the stress on the joints as they heal by ensuring you have a good posture during day to day activities. Check your sitting posture, particularly when using a computer or reading you should ensure your ears are in line with your shoulders and hips. Placing a cushion or rolled up towel behind your lower back may help improve your posture and reduce the stress on the spine. Injections - In some cases your GP or Consultant may recommend an injection. These can be used to reduce inflammation and pain when the symptoms are severe and constant. This is not a 'cure' and it is important to follow the exercises and modify activities. A 'Cortisone Injection' can help reduce inflammation in the joints. Surgery - This is not common for Lumbar Spondylosis. In some cases when symptoms are persistent surgery may be considered. Numbness and/or pins and needles in genital and/or buttock area. Sudden loss of bladder and/or bowel control. Loss of balance and motor control. Severe constant back pain which cannot be relieved by a change of position. Back Pain following a major trauma. Remember an important part of treatment for Lumbar Spondylosis are your home exercises and modifying activities.